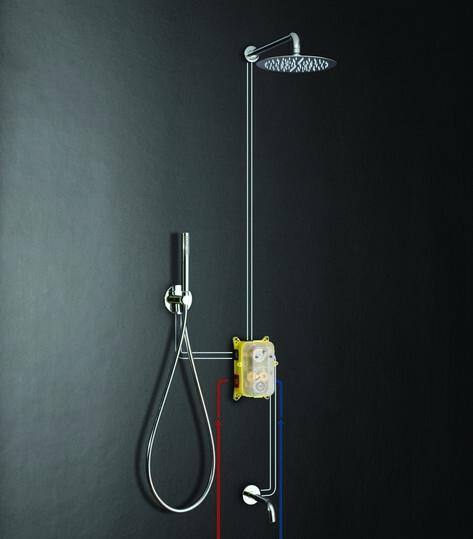 In order to give you all the options for your new bathroom, the Celine range also includes this smart, modern and very streamlined thermostatic shower or bath control. 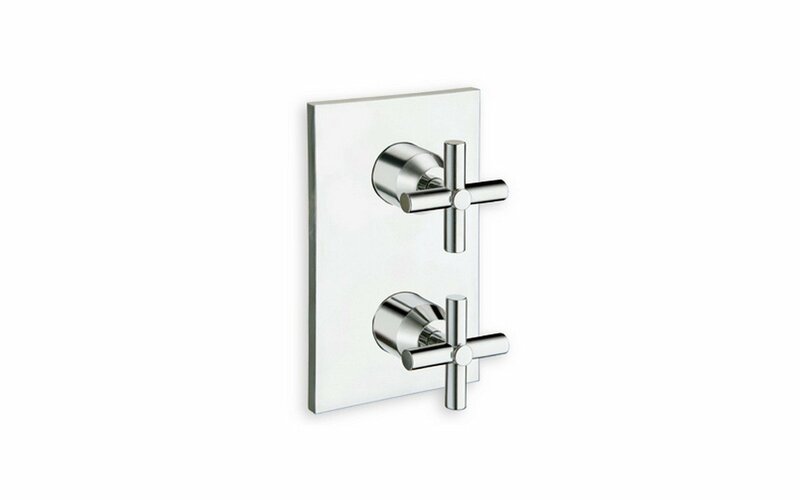 It is an exercise in pure simplicity, starting with the understated squared-edge wall plate which houses the hot and cold taps both featuring the fresh interpretation of the classic cross-handed faucet - the trademark of the entire Celine range. The elegant silhouette of the tap handles is offset by the wider tap pillars, and the wheel unit is stunningly rendered in polished chrome. 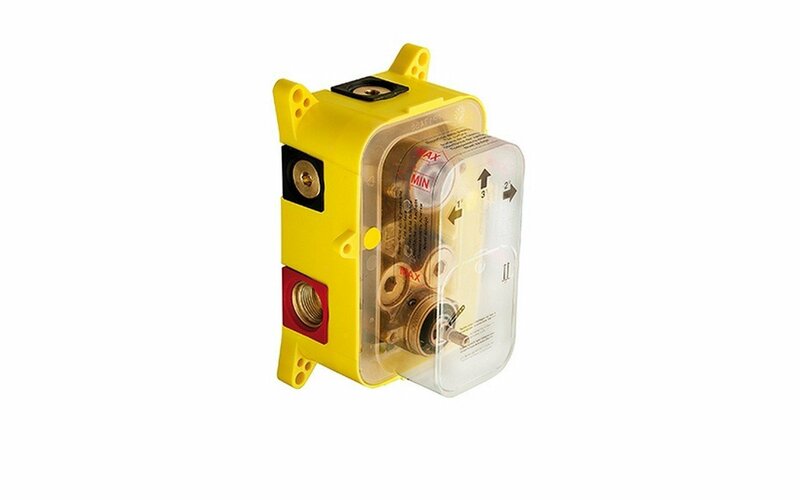 The 8”x4.75” (20x12 cm) shower control unit can includes a one, two or three outlet shut-off valve.